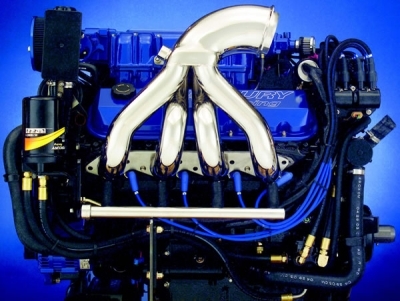 CMI Elbow Top headers are designed for direct replacement of most stock cast manifolds. 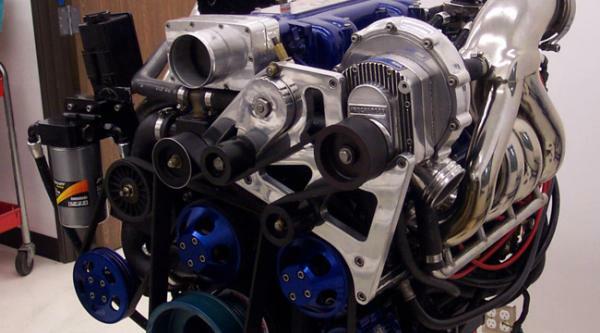 Top engine builders and stern drive manufacturers who want to optimize performance of small- or big-block marinized engines prefer CMI Elbow Top headers for their engines. 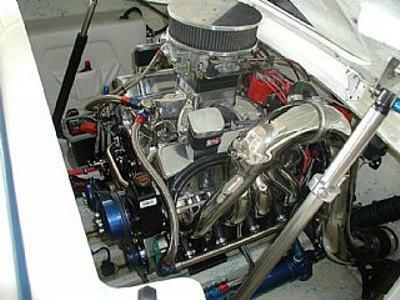 CMI E-Top systems offer separated exhaust passages with long individual exhaust tube runners to minimize cylinder to cylinder influence and improve exhaust gas scavenging, which allows the engine to breathe freely and deliver peak performance power. Each header features a permanently attached, non-adjustable exhaust tailpipe configured to meet precise specifications for stan¬dard transom layouts and placement of thru-hull exhaust tips. All CMI Elbow Top Systems include rubber water distribution tubes, cooling water bypass couplings installed on the collector elbow, by-pass hose fittings, attaching cap screws, exhaust port gaskets, hose clamps and cooling water inlet fittings needed for most installations. Any Elbow Top System may be purchased with a stainless steel distribution tube upgrade.